I read the headline “It takes more than a produce aisle to refresh a food desert” with part amusement and part exhaustion. I knew there would be an onslaught of articles bemoaning the wasted resources being spent on financing food retail in underserved neighborhoods. In short, the researchers called people on the phone to ask them about their fruit and vegetable (FV) consumption before and after the supermarket opened. They talked to people who lived near the new supermarket and people who were not living near the supermarket—1440 people before the supermarket opened and 656 people after. So after the store opened, the 311 people (who still lived in the study neighborhood) did not respond any differently than the 345 people (who still lived in the comparison neighborhood). They also asked about BMI and perceptions of access. The researchers transparently discuss the limitations of their study, including the three-year gap between baseline data collection and the intervention—due to delays in building the supermarket. Data on whether residents had any changes in perceptions, dietary habits, or BMI were collected six months to a year after the store finally opened, meaning it was nearly four years since baseline data had been gathered. The store had been open for 6 to 12 months when they went back to investigate any changes. And they found that people did not report increasing the amount of fruits and vegetable they consume or changes in BMI. What the media articles failed to point out was that the study found significant improvements in the perception of food accessibility. Yeah! This is amazing. Because changing perceptions and attitudes is part of the equation of long-term behavior change. This was true for shoppers who used the store as their primary store and those who shopped there but did not use it as their main store. Why wasn’t that the headline? 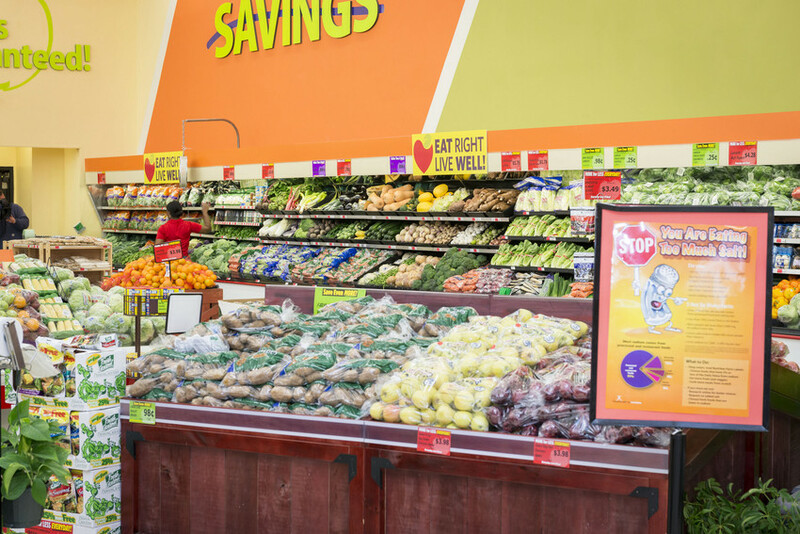 Sometimes and for some people, a behavior change intervention is truly is as simple as putting a supermarket in their neighborhood to increase the purchase of fruit and vegetables. But we are not a homogenous population. What works for some will not work for others. Some people are already eating healthily despite where they live, despite their income, despite their accessibility. Some people are not eating healthily and they have ready access to healthy food options. We are a complicated and unpredictable bunch. Does that mean we should stop advocating for building supermarkets in underserved areas? No. But it does mean that we need to be modest in our claims about what that supermarket will yield. It may not yield the improved health outcomes that we want it to, especially over the course of only six months. People will continue to shop where they can get the best quality of food for the most affordable price at a store they’re familiar with (faustino). It might mean they forgo the new supermarket in their neighborhood because they have already gotten into the habit of shopping at other venues. Did anyone working on the supermarket project think that just building the supermarket would suffice? If that were true, then the thousands of people around the country who are teaching healthy cooking, conducting nutrition education classes, growing their own food, and doing other-skill building activities would be able to hang up their hats because all you need to do is improve physical access. Did the researchers expect to see an effect after six months? Of course. And they did. People’s perceptions of access changed. What else changed? Twenty-six percent of respondents now use the new store as their main food store. And this just after six months of being open. Fifty-one percent used it for any food shopping. While this was not the change the researchers were necessarily calling a success, this too is significant. Getting people to change their shopping strategies and locations is a behavior change. Had there been a change in fruit and vegetable consumption, we would have more reason to cheer. 746 people, mostly women, did not increase their fruit and vegetable consumption. I see no reason why we would expect a change in BMI, so I won’t go there. I am also not a fan of using BMI as a measure for any of these studies. We are obsessed with obesity and I’m not sure our obsession is getting us anywhere. Why not think about these interventions as a way to increase the purchasing and consumption of healthy foods that eventually might lead to better health outcomes? The researchers ask some excellent questions. What can the store do to attract more local and loyal customers? Is the price and affordability of the food the barrier? Is better outreach the answer? Should they conduct taste tests, offer cooking classes, increase the price of unhealthier options? Research was conducted with residents to help plan the store. What else is needed to encourage residents to shop there and perhaps even try some new food? Poverty, low wages, unemployment, education, reduction in food stamps—the list of what is causing disparities in health outcomes goes on. Addressing all of these problems is a worthy goal and the fight to change the playing field needs to continue. I never heard the word “poverty” in our last presidential election and don’t see the political will to solve the poverty issue rising to the forefront. In the meantime (I borrow this concept from Vanessa Garrison founder of GirlTrek), we need to continue to do the work. And the research. And all the other efforts that communities around the country are doing to improve their food choices. Many of those have nothing to do with locating supermarkets in underserved areas and have everything to do with building social capital, creating safer neighborhoods, teaching children how to grow food and cook, and more. Eat a slice of humble pie. Think of the last time you tried to make a change to your diet and exercise habits. When offered a cookie or an apple, how many times have I taken the cookie? If building the store were sufficient, that would put a lot of behavior change social scientists to shame. 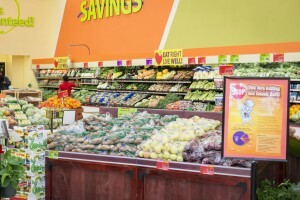 Read about CLF’s Eat Right Live Well supermarket intervention in Southwest Baltimore.